Iran has missiles with long-range capability and is not slowing down its developement of weapons. What does this have to do with Bible prophecy? As I have pointed out before, the book of Daniel indicates a war coming soon that will set the stage for end-time events. The environment is causing problems too with water shortages looming. 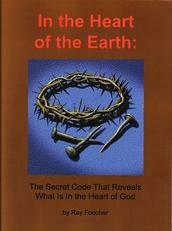 Lastly, is an item showing an example of scientists who just cannot accept what the Bible says about our origins. "The nuclear watchdog was also alarmed by three disclosures made by Fereydoon Abbas, head of Iran's atomic energy agency, Monday, Aug. 29, attesting to the speeding-up of its military nuclear program and preparations for a possible attack on its installations. "Last Wednesday, Aug. 31, French President Nicolas Sarkozy warned, 'Iran's attempts to build long-range missiles and nuclear weapons could lead unnamed countries to launch a pre-emptive attack.'" "Iran's navy is going to deploy ships close to US territorial waters, its commander in chief was quoted as saying on Tuesday. "As the global oppression (the US) is present not far from our maritime border . . . our navy is going to have a strong presence not far from US territorial waters . . ."
"The remarks come as another high-ranking Iranian appeared to reject a recent US request to establish a 'red phone' link between the countries to avoid unwanted confrontation between their armed forces in the Gulf region." "Noting an increase in the chance for a multi-front war, OC Home Front Command Maj.-Gen. Eyal Eisenberg revealed on Monday that Palestinian terror groups used a new and advanced rocket in their attacks against Israel during the recent round of fighting in the Gaza Strip. "After the 'Arab Spring', we assess that a winter of radical Islam will arrive and as a result the possibility for a multi-front war has increased including the potential use of weapons of mass destruction,' Eisenberg said." "The realization that our water is in fact a finite resource has become all the more clear over the last year where parts of the country have experienced the worst droughts in a century. The changes in global weather patterns and a rapidly growing population have also substantially affected the water supply. 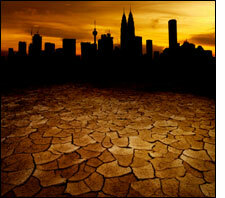 "In 2010, an article was written that examined the risk of water shortages across the country. The writers of the article looked at an October, 2010 report on water risk by environmental research and sustainability group, Ceres. They also considered a comprehensive July, 2010 report from the National Resources Defense Council which mapped areas at high risk of water shortage conflict. The analysis allowed officials to choose ten cities which are likely to face severe shortages in the relatively near-term future. 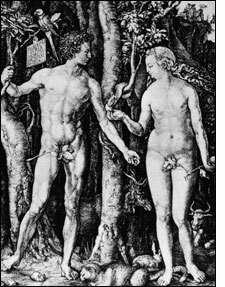 The cities are:"
"Let's go back to the beginning -- all the way to Adam and Eve, and to the question: Did they exist, and did all of humanity descend from that single pair? "According to the Bible (Genesis 2:7), this is how humanity began: 'The Lord God formed man of the dust of the ground, and breathed into his nostrils the breath of life; and man became a living soul.' God then called the man Adam, and later created Eve from Adam's rib.
" . . . four out of 10 Americans believe this account. "Venema says there is no way we can be traced back to a single couple. He says with the mapping of the human genome, it's clear that modern humans emerged from other primates as a large population-long before the Genesis time frame of a few thousand years ago." Comment: As one person observed about this article: " I wonder if they can determine the genetic code of baloney?"